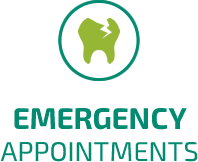 Where possible, we open on public holidays, with priority given to tooth ache and emergency patients. You may not see booking times available online on these days as these times are reserved. Please call the practice on 9455 4565 to request an appointment. We’re open seven days a week, with early and late appointment hours available. We look forward to seeing you.